This next car comes as a tip from Art C who writes: Some seriously cheap fun here. 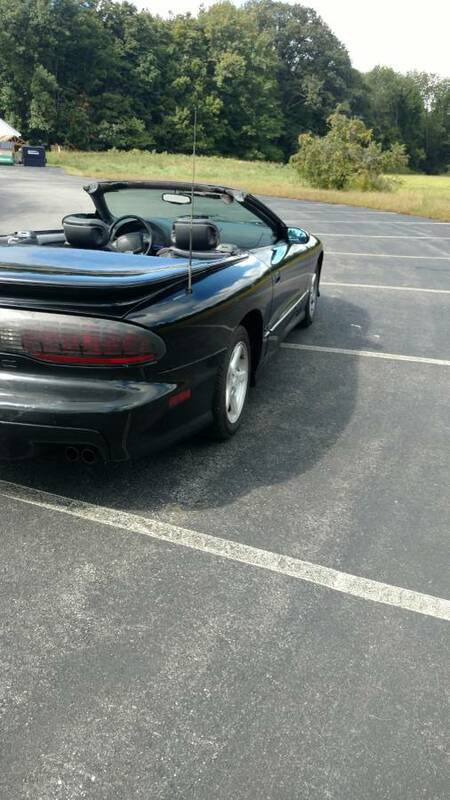 275 hp, 6 speed, posi... strip it and turn it into an auto x toy?? Art is onto something here because this thing should be fun and the missing title shouldn't scare away the guy who wants to race this thing in the 24 Hrs of LeMons. 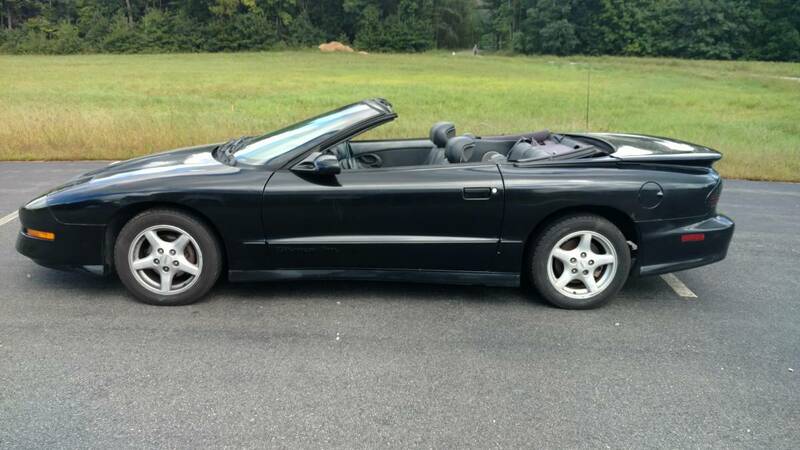 Find this 1995 Pontiac Firebird Trans Am Convertible offered for $1700 in Derry, NH via craigslist. 95 trans am conv..lt1 275 hp..6 SPD std..3:42 posi..car has high miles (200k) but was never beat..runs ,drives and shifts excellent.. straight body...minor rust and needs cosmetics..(typical rear window and pass window regulator)...drive it or great car for 6 SPD swap..no title..I drive it daily..$1700 firm includes better interior..
"no title..I drive it daily.." How? Down your driveway? But seriously, this is a perfect car to pull the drivetrain from...Wish it was closer. So does "no title" mean I can't find the title but it was last titled to me, or the title is probably in a drawer someplace in the house where this was parked when I found it, or something else? This dosent seem like it falls into the "never had a title" or "too old to have a title because it's pre 1973 and my state doesn't title old cars"
I had the same thoughts and wish I had a free carfax code to see what the history says. 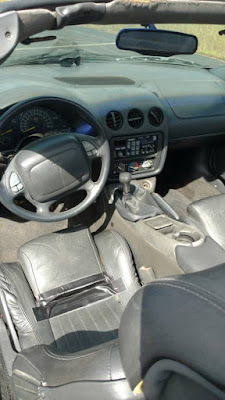 Was that "$1700 firm includes better interior" or "$1700 firm includes beater interior"? Probably "I have a title loan with the money shak and I'm trying to move it before they repo it".